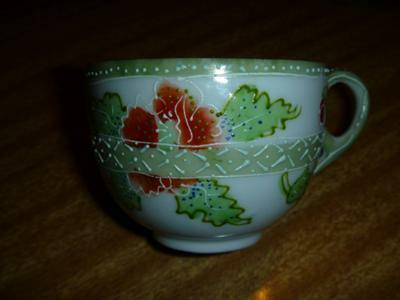 I found this dainty translucent hand painted cup and saucer set in my mother’s cupboard when attempting to prepare for a garage sale. 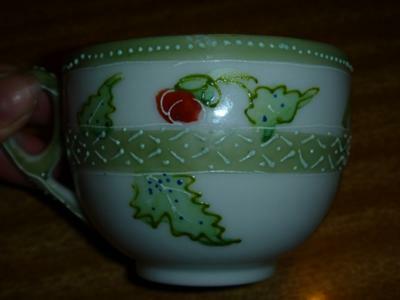 It has no stamps or markings and the design is completely freehand and without transfers. 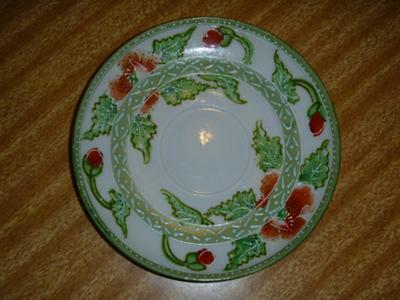 My mother says she cannot recall where she got it, although feels it was probably bought on a whim. Whilst I am usually fairly adept at producing results when researching antiques, all my usual tactics have come up empty. We would both love to know more about this gorgeous piece, if anyone can help us.